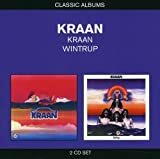 The music character in the 80's will have been time in the history of the music of Kraan when it had gotten on the flow in the age very much. A little rhythm of inorganic in the 80's and the element of the anacatesthesia might have infiltrated a little as a fashion. I use it in a good meaning. The music in the 80's might certainly have given the impression a little away from a miraculous part of the 70's. It might relate to the fashion that flooding and people of music requested. 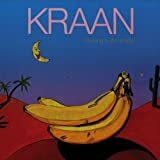 After it had debuted, the sense of Kraan might have been consistent to some degree. Men who debuted in 1972 are a little parts of psychedelic and elements of Funk. Or, Jazz Rock was assumed to be a subject and music was always created. And, it multiplied at latter term in the middle of the 70's and their music took the part that had been refined further to music naturally. Making the sound and the evolution of machine parts were advanced in the age and those elements might have been reflected in their music with indeed natural shape. Therefore, it might be able to be said that those acts were able to ride the crest of wave exactly attended with their ideas in the age. This album is a work from which the age is exactly reflected in the album well. And, the style has a consistent fact. Indispensable existence is existence of "Konrad(Conny)Plank" when talking about Music in Germany of this time and. 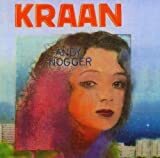 Of course, the fact that is important existence for the case where Conny Plank decides the music character of Kraan might be correct for Kraan. 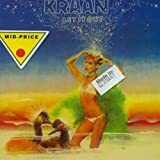 A good part of Kraan might appear remarkably in the part of the improvement and the advancement of the idea from the element of Jazz/Fusion and Funk of "Let It Out" to "Flyday". And, they have succeeded in taking the age to the band splendidly. 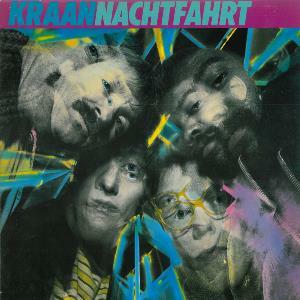 The album that succeeds in splendidly making the atmosphere in the 80's an embodiment based on them might be this "Nachtfahrt". It is said that the bonus track was scheduled to be collected to this album at first. However, it is guessed that an unpublished tune existed to some degree at that time. They are solved by announcing "2 Schallplatten". The album exactly reflects the age and the technology of the performance of the band might improve further. And, the point that should make a special mention further is a point that the drum player has alternated from "Udo Dahmen" to "Gerry Brown". Gerry Brown was a drum player who was active in a live album etc. of "Return To Forever". This member's alternation might contribute as a more perfect part for the performance of Kraan. Of course, Jan Fride of the drum player known well for the fan of Kraan also participates in three. "Wintruper Echo" tells the listener the start of the album with the dash feeling. The tune advances with a traditional a few melodies. Maintenance of accurate rhythm of Jan Fride. Or, it performs and it is technological of Hellmut Hattler that thinks completion as the idea of Bass already. These might have been obviously the parts at the new front for Kraan at that time. However, their styles are always consistent. By the way, the title of the tune is a name of a small town of Hannover and a degree of the cairn. The composition of the tune that multiuses the rhythm box of "Faust 2000" might be a tune that exactly reflects the age. A lot of ideas of them are blocked in the element of POP. If this tune also considered their music characters at that time, it might have been a new front. I will exactly feel the depth of the interior of the Kraut music. The melody and the arrangement of "Elfenbein" might be almost perfect. The age is reflected. Making of sound of keyboard. Or, the song in which a good meaning has the escape power. And, it is partial of Arpeggio with the anacatesthesia. And, a perfect tune that happens on the way is transposed. However, it succeeds in busy of the composition and the sound of the tune that flows indifferently. I was convinced that this tune was a tune that only they were able to do absolutely. It is a tune to which the age gave birth exactly. If the listener feels the wave of the alpha, it is good. "Nachtfahrt" might be one of the tunes of their representative. It is a tune that starts without fail the list in live. The sound of the keyboard gently affects. 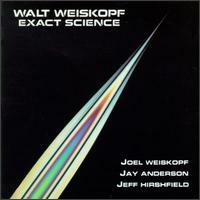 It might be a tune that remarkably showed the flow of Jazz/Fusion very much in this album. The rhythm of Gerry Brown is contained a lot of technical elements and progresses. The element of Fusion with the dash feeling satisfactorily demonstrates their technologies. The tune collected to this album really shows various faces. Straight Rock of "Playing For You" might be a side of Kraan. The part where Rock is good appears splendidly in the tune. The rhythm of Jan Fride also splendidly draws out the part where the tune is good. The tune with various elements is included in this album. The listener is told it further by this "Viel zu Heib". The part of an element of DUB and heavy Bass twines though the rhythm of reggae is made a center. Their ideas might be enhanced. Not ending in a simple tune might be a sense of this Kraan. The sense and Groove of a mysterious melody of "Normal" might be ideas that only they can do. The tune maintains the dash feeling and advances around Groove. The age is exactly reflected and it works on refined Funk Rock in this tune though they always took the element of Funk to the work. In "Paper Stars", a pleasant Arpeggio part and the chorus are impressive tunes. The arrangement of the guitar might be almost perfect. I will feel the element that was able to be visited in the 80's in the tune. 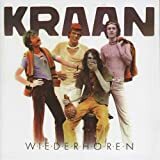 It is one of the elements that the melody of the song is indispensable for Kraan. It might be a tune of which the part of Jazz/Fusion has gone out with standing up that the atmosphere of "Luna Park" is quiet. The rhythm of the demiquaver twines perfectly with Bass. Their technologies have really adhered to the body to make the idea an embodiment. The tune increases the anacatesthesia further and reaches a space part. "The Daily Blues" collected to this album as a bonus track is an interesting tune from which the condition of the battuta of the melody comes off while making Blues basic. It might be a tune with which it doesn't stay in Blues that this tune is simple and their ideas are blocked. The tune advances with a few tensions and dash feelings. 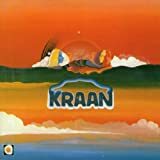 The fact that can be said for the music character of Kraan is to take very various elements into the work and to succeed. 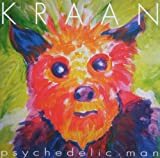 The individuality of the style and Kraan might be consistent though the music character and the idea always change. 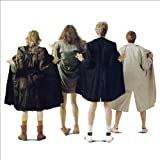 And, the appearance to always pursue the music that they this album should remarkably exactly reflect the age and do might appear in this album. The band that always announces such an idea might not exist so much in the world either. It might be one of the valuable bands. 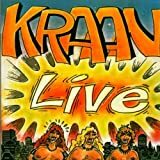 Post a review of KRAAN "Nachtfahrt"